Double edge trimmer. Cuts both sides simultaneously. For edges up to 40 mm. 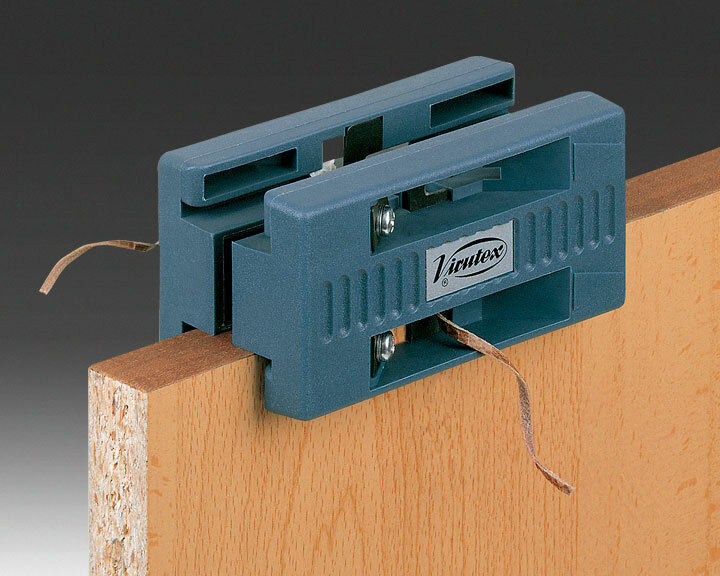 For larger edges it can be used as two independent edge trimmers. Top quality long life blades which are easy to replace once worn.